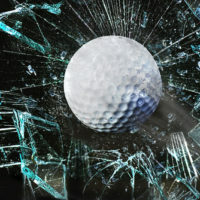 More often than not—especially in states like Florida, where golfing is quite popular—windows within a homeowners’ and condo associations are damaged by the golf balls that fly in from nearby golf courses. In many of these associations, the golf course is private and open to those in the association adjacent to it. When someone buys into the community, they automatically become a member, and can use the course. When something like this happens, who is responsible; the association, the golfer, the homeowner, or another party? Below, we discuss this liability, and who can be held responsible for it, in greater detail. Most homeowners’ associations are protected in instances like these precisely because they have built a waiver of liability into the associations’ documents and under a legal theory known as “assumption of risk.” The language will typically say something to the effect of “owners assume all risks associated with errant golf balls and hereby agree not to pursue any claims against the association, golf club, or any other party other than the golfer.” Thus, paying for the damage or filing an insurance claim is often the responsibility of the owner. This is akin to individuals who have residences near airports, but are frustrated by the noise; it can be difficult to successfully file a lawsuit based on that noise nuisance, given that the homeowner presumably chose the home, and knew it was near an airport. That being said, if it is an issue that occurs regularly and/or once is caused by something has changed on the golf course, homeowners may be able to collect for any damages to their property and/or force the golf course to make an adjustment in order to prevent future harm. It may also be possible for owners to get the association and/or golf course to put up netting and other measures to protect condos within the association. When it comes to trying to bring a claim against the golfer responsible, the homeowner would typically have to show that the damage resulted from the golfer’s negligence and/or failure to exercise reasonable care, which can be difficult; especially if the accident was simply the product of a “bad shot.” This can also be challenging given how infrequently the golfer responsible for the errant shot comes forward to admit fault. It is always wise to speak with an attorney who is experienced with homeowners’ and condo associations to look over the association documents to advise you in circumstances like these. 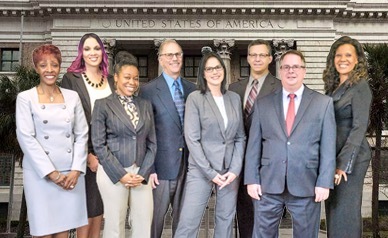 The Florida homeowners’ association attorneys at HD Law Partners provide knowledgeable, proactive legal advice that associations and property managers can count on. Contact us today at one of our many office locations in Orlando, Sarasota, and Tampa.